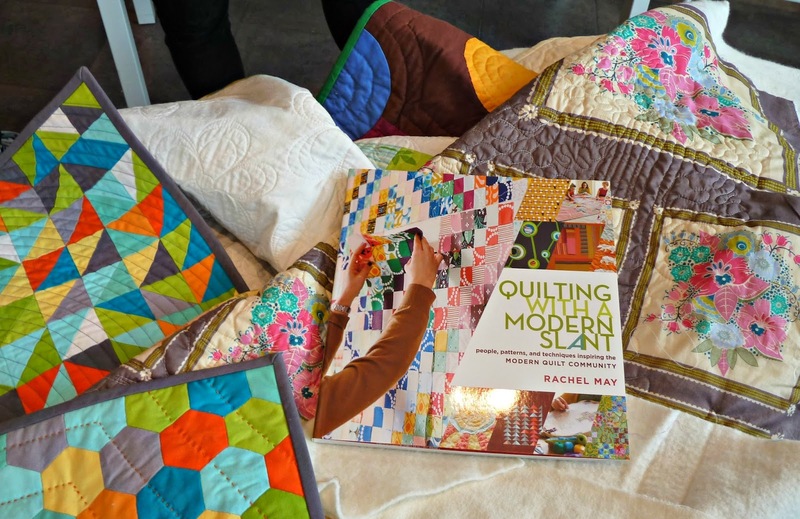 A long, long time ago my dear friend Rachel had the idea to write a book about the modern quilting community and because she's totally awesome invited me along for the ride. As part of this adventure I got to go to Quilt Market and meet lots of "famous" quilters, do a photo shoot at Gather Here, and have way too much fun hanging out with people who are as insane about fabric as I am. 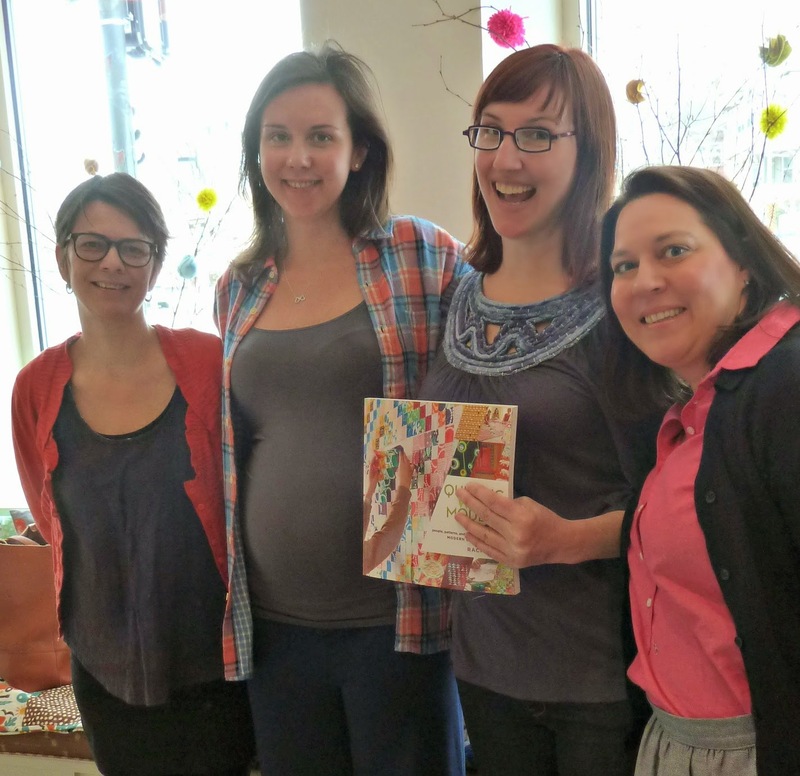 This weekend I had the privilege of joining Rachel and the phenomenal Pippa Patchwork for a talk at JP Knit & Stitch. It was such a treat to meet so many lovely quilters and hear their quilting stories at this adorable shop. A huge thank you to Genevieve and the rest of the gang for inviting us to join them!!! If you haven't checked it out yet, Quilting With a Modern Slant profiles an amazing array of modern quilters. What I love most about this book is that it is less about a specific technique or quilt pattern instead choosing to focus on what inspires different artists and the quilts they create. It is loaded with delightful quilty eye candy and stories about the makers. 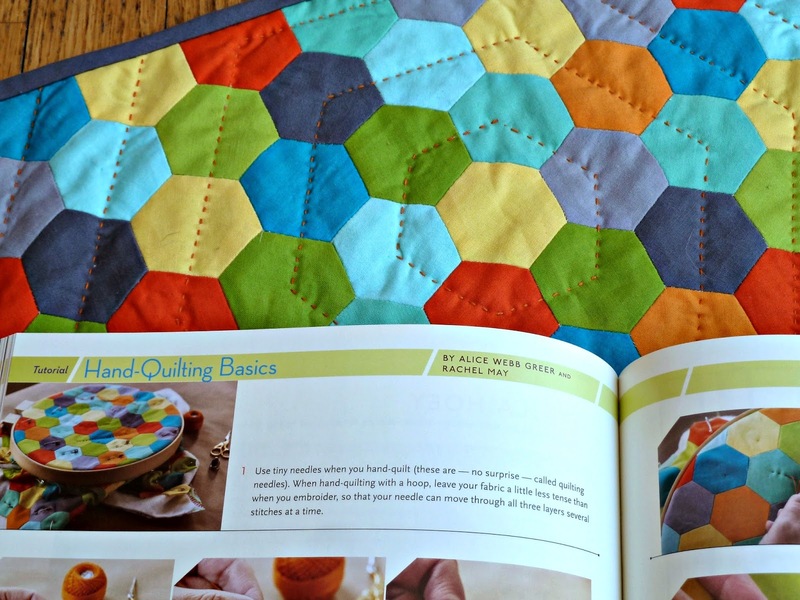 Interspersed are great quilting tips and useful tutorials (including a few by yours truly:-). Even Martha thinks it's a good thing! Its a cool book! Congratulations Alice! Your hand quilting just looks amazing!